From Millennium Station, it’s an even quicker El ride to one of the legendary sites of Chicago broadcasting. The Merchandise Mart, on the banks of the Chicago River, has been home to radio since it was built in 1930. Back then, the 19th floor of this massive building was outfitted by NBC as its midwestern studio center, home to Red Network outlet WMAQ and Blue Network outlet WENR. But while Westinghouse got WMAQ(AM), its sister FM station, by then WKQX, went to Emmis. 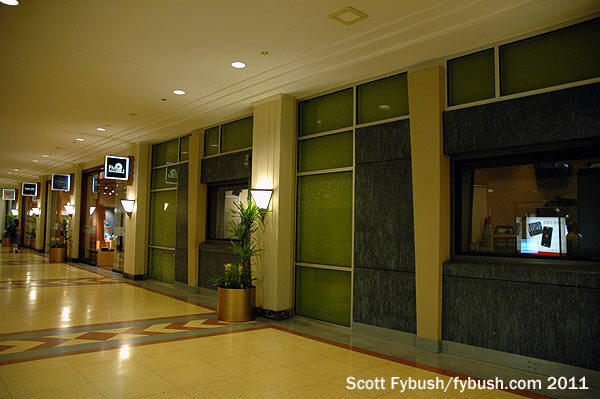 And Emmis stayed put in the Merchandise Mart, moving downstairs from the old NBC space to a new space on the western end of the second floor, with studio windows looking out into one of the big marble corridors that run the length of this huge building. In 2004, Emmis added a second Chicago FM, trading its Phoenix stations to Bonneville in exchange for WLUP-FM (97.9), which moved to the Merchandise Mart from its longtime home uptown at the John Hancock Center, which is also where its transmitter is located. 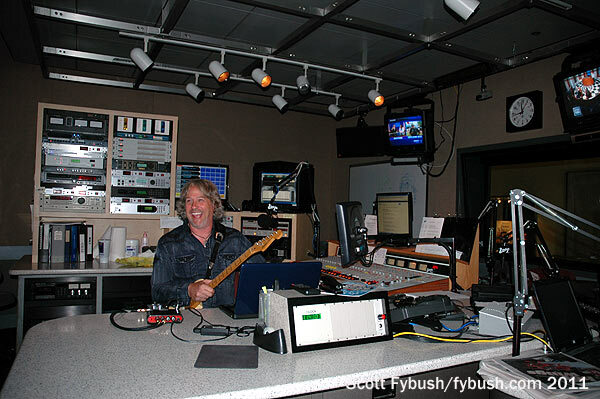 And just a few months before our visit, Emmis sold WKQX and WLUP (along with WRXP in New York) to Randy Michaels’ Merlin Media, which was just settling in when we stopped by in August. 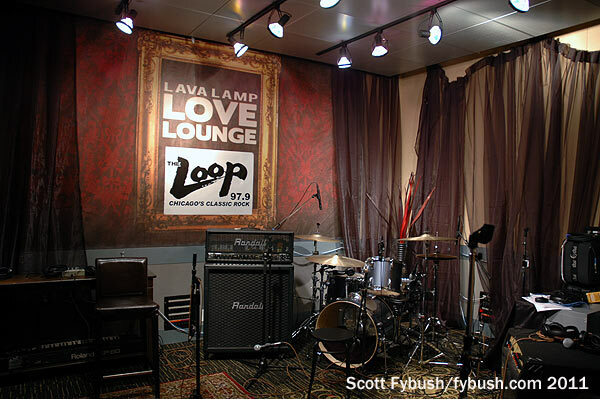 Merlin mostly left WLUP’s rock format alone, including the “Lava Lamp Love Lounge” live performance studio that anchors one end of the studio hallway that runs parallel to the Merch Mart’s main corridor. 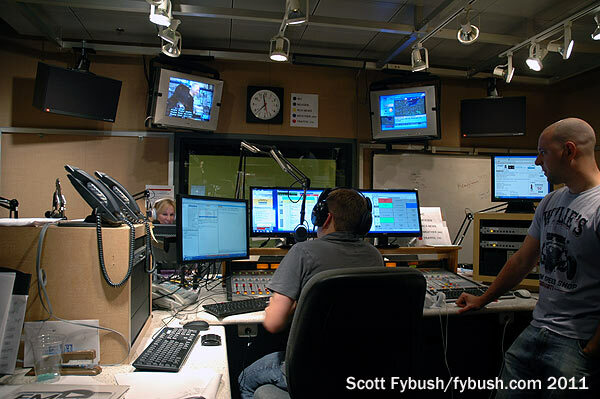 WLUP’s air studio is also along that line of studios visible from the main corridor – and next to it is what used to be the “Q101” modern rock studio. 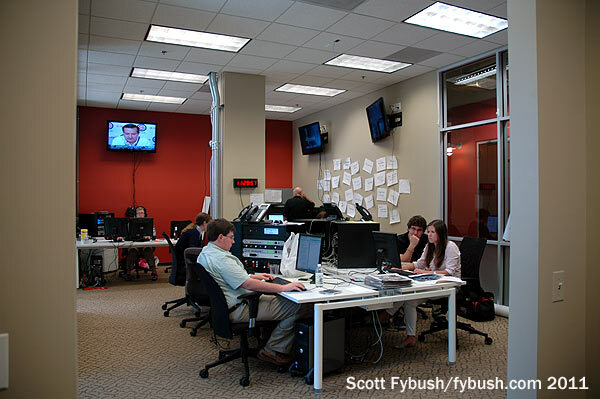 Posting these 2011 pictures reminds us we have some even older Chicago studio shots that haven’t made it to Site of the Week yet; we’ll have to rectify that soon – and we’re overdue for another Chicago visit to catch up on what’s changed since our last big round of tours there! Thanks to Randy Michaels for the tour! But the wait is over. 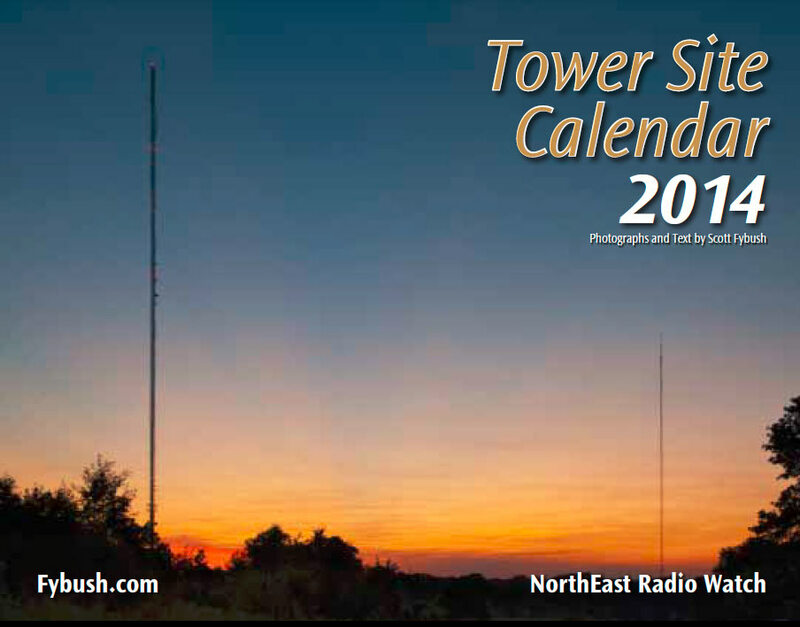 The Tower Site Calendar, 2014 edition, is now shipping!